J-Tech Digital is focused on providing high-quality products that integrate and distribute home entertainment for the residential and commercial markets. J-Tech Digital has played a major role in transforming whole-house audio, video and home theater. 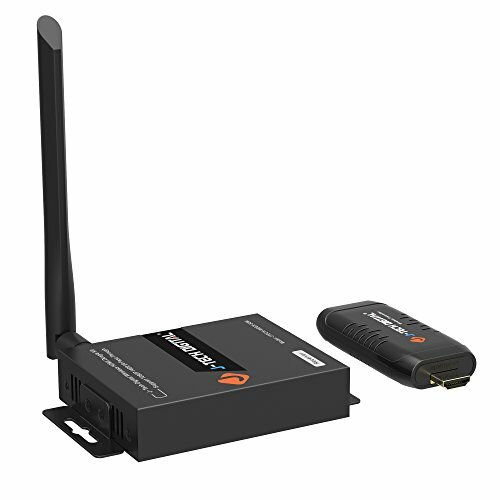 The JTECH-WDEX-50M is an innovative transmitter and receiver pair is capable of streaming full HD 1080p video with support for the latest movie content up to 164 ft. away within the same room, with only a 180ms delay. The JTECH-WDEX-50M is much smaller than previous J-Tech Digital wireless HDMI extenders or any wireless extender on the market. The JTECH-WDEX-50M is great for on-site transmissions, ideal for anyone looking to move their source device around, such as a camera, or for any set up that relies on a quick and easy change of sources, such as switching to different laptops in a conference room. The transmitter requires no HDMI cable and is a dongle form factor that is powered by USB. This allows the user to be cable free and will no longer be tied down by power outlets. For maximum portability and convenience, power the transmitter and receiver with a 5VDC power bank to enable any monitoring configuration your application may need.